Parents are such important partners at VU. 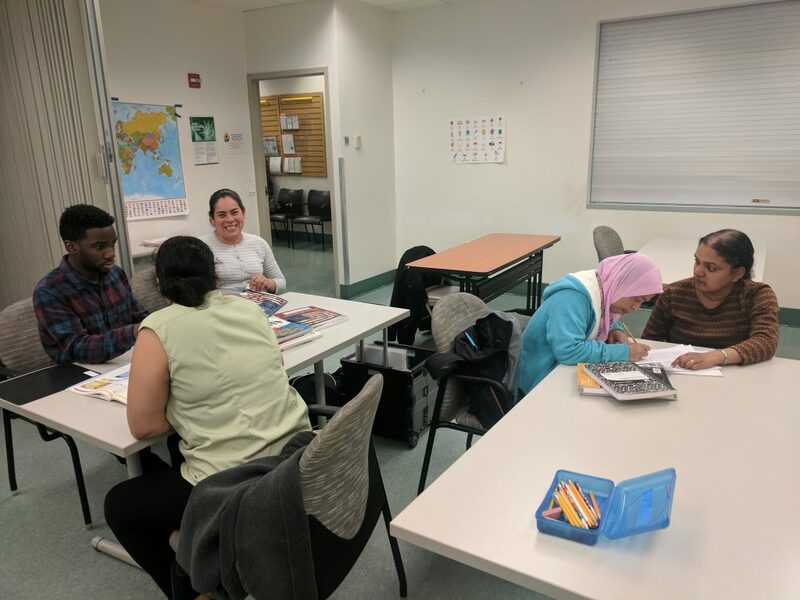 They faithfully bring their children to do their homework and read with our volunteers, often waiting at NRC for 90 minutes while their kids work. Over the past year, a couple of moms and dads have asked us to help them learn English while they wait. At first that seemed like a daunting request, but with the help of the Literacy Council of Northern Virginia(LCNV) and VU President Andrea Ciecierski, it has happened! Twice a week, volunteers from LCNV will meet with interested parents to work on learning and speaking English. VU is proud to be able to support parents–and what a wonderful example they are setting for their children by becoming students themselves! And now what possible excuse do I have for not improving my Spanish?!? community partner, ESL, parents. Bookmark.